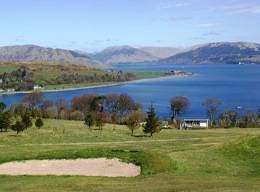 Bute has three golf courses all of which offer excellent golf and stunning views. Rothesay is an 18 hole course situated on the side of Canada Hill. 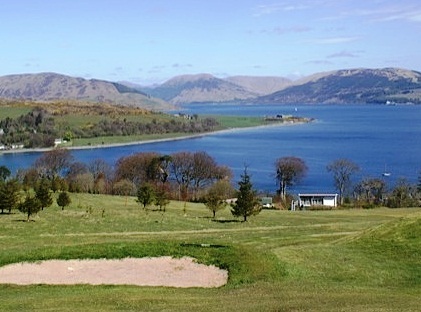 Port Bannatyne is an unusual in that it has 13 holes. It is our personal favourite. Kingarth is a 9 hole links course near to the excellent Kingarth hotel and restraint. Bute is an excellent location for cycling. Its quiet roads make it ideal for both adults and children. There are a number of road routes which start from Ardyne House. Cycle hire and repair is available from the Bike Shed in Rothesay. I’ve personally had excellent service there. Round the Island: head north through Port Bannatyne then turn left along the A844 towards Ettrick Bay. In around 0.5 miles turn left for Ballianlay on the A844 and follow this road past the turn off for Straad taking it past Ardscalpsie where you can stop to view seals on the rocks below. Continue to the road end and turn right heading to Kingarth. Turn right at the Kingarth Inn and cycle the mile to Kilchattan Bay for a well earned ice cream. Return to Kingarth and take the A844 over the hill to Kerrycroy and back to Ardyne House via Rothesay. Distance 23 miles. There are optional detours to St Blane’s Chapel and to Kerrycroy via the Bruchag Road. If you’d like a shorter route follow the round the island tour as far as Straad. You can then visit St. Ninian’s Bay before returning to Ardyne House via Rothesay and the Barone Road. Distance: 12 miles. Rhuboadach: a 14 mile round trip to the ferry at the north end of the island. Take the ferry to Colintraive and have lunch or dinner at the hotel. You can continue south around Strone Point for views of Loch Striven. For the energetic, tackle the Serpentine Hill. Turn right at the top and fly down Minister’s Brae then do it all again! To Tighnabruaich via Colintraive. Distance: 42 miles round trip. 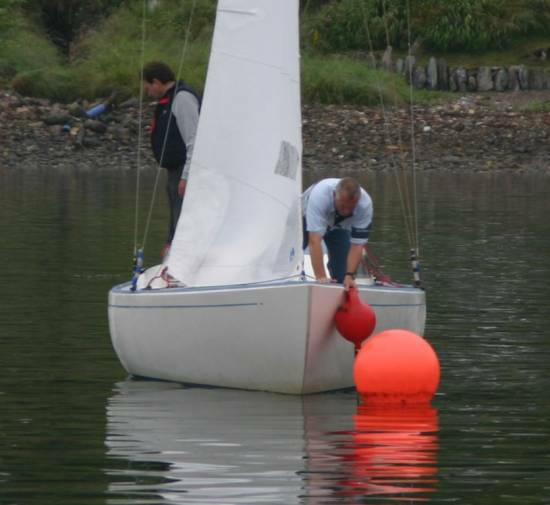 To Dunoon via Colintraive then take the ferry to McInroy’s Point and cycle to Wemyss Bay for the ferry back to Bute. Distance: 36 miles round trip. There is an optional 20 mile detour to Tighnabruaich. Cycle through Rothesay and enjoy the swing park and an ice cream at the meadows. Cycle the 3 miles to Ettrick Bay and enjoy the café and beach there. 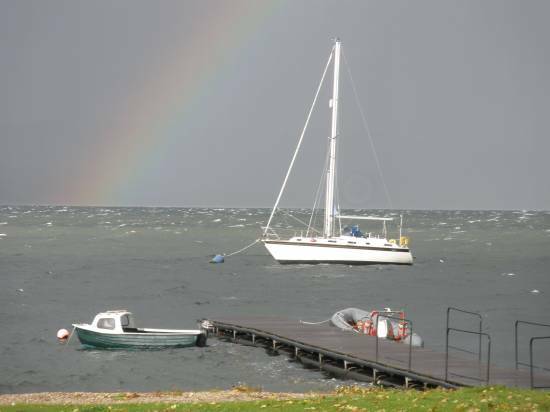 If you feel energetic, continue on the road to Kilmicheal. Take the A844 to Kerrycroy. On the return stop at the Craigmore Café for refreshments. Distance: 12 miles round trip. Cycle to the war memorial on the A844 above Kingarth. Cycle the Scoutag Moor Road back to Rothesay. There is also a variation that starts from Birgidale (the junction of the A844 and B845). From Ardyne House go through Port Bannatyne and take the A844 towards Ettrick Bay. Just before Ettrick take a right up Glen More and follow the West Island Way until you reach forestry tracks. Follow the main track through a superb downhill to Rhuboadach. From Kilchattan Bay take the path to the lighthouse at Glen Callum Bay. From there head west to St Blanes Chapel then back over the Suidhe Hill to Kilchattan. Time: 1 hour return to the lighthouse only, 4 hours for the full trip. From Kilchattan Bay take the Kelspoke path to the lighthouse then return. Time: 1.5 hours. Take the Scoutag Moor Road from Kingarth to Rothesay. Time: 3 hours. From Ardyne House walk round Port Bannatyne Bay before turning left at the cottages that are approx 300m past the Ettrick bay turn-off. Follow this path to the old church before returning to Port Bannatyne. Time: 1 hour. From Rothesay turn right at the Kettledrum Café (opposite the Albert Pier) and walk through the Skipper Woods to Craigmore. Enjoy refreshments at the Craigmore Café. Time: 1 hour. Walk from Straad to the old chapel at St Ninian’s point. Best at sunset. Time: 45 mins. 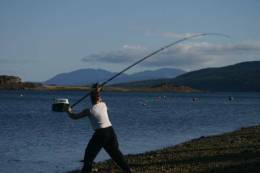 Bute has around half a dozen lochs available to the fishing enthusiast. Shore based sea fishing is available at many locations around the island. The species that can be caught include mackerel, ballan wrasse, pollack and even conger eels. Brechins: great coffee, food and conversation. The lunch and dinner menus are excellent. The Waterfront Bistro: a friendly welcome & generous portions of excellent food. There is a good range of wines and bottled beer. The Smiddy Bar, Kingarth Hotel: real ales and excellent food. Try the burgers. Craigmore Café: good for coffees and lunches, no other establishment has a view like it. The Post Office Port Bannatyne: fantastic espresso, a wide range of speciality teas and delicious paninis. If you prefer a carry out, The Squat Lobster (by the pier) and the West End Café (Gallowgate) do excellent fish and chips. For sailors Port Bannatyne Marina is a useful stop off point. There is plenty of bird life all year round. There are four bird hides – Loch Fad by the Causeway, the south end of Loch Ascog (accessible from the moor road), the west end of the Quien Loch and Ettrick Bay. Highlights include Great Crested Grebes, Little Grebes, Eider, Red Breasted Mergansers, Teal, Mute Swans, Buzzards, Skylarks and Golden Plovers. In the winter there are Whooper Swans and various species of geese. If you’d prefer to birdwatch from Ardyne House, just watch the old pier and you’ll see shags (a type of cormorant) drying their wings between fishing expeditions and if you’re lucky a grey heron. During the summer months the Paddle Steamer Waverley regularly sails out of Rothesay. This is one of my favourite day trips. Kids will love watching the engines. St Blanes Chapel – charming and peaceful medieval chapel in the south of the island. It is one of my favourite spots.